Hello, it’s Now a New Notedrop! No, this is not Notedrop Tricoro. (Neither is it Notedrop Pentacoro, or Hexacoro, or DuoCore-o.) It’s just plain Notedrop Delta. This release adds a great functionality to the chartlist: namely, a search bar! 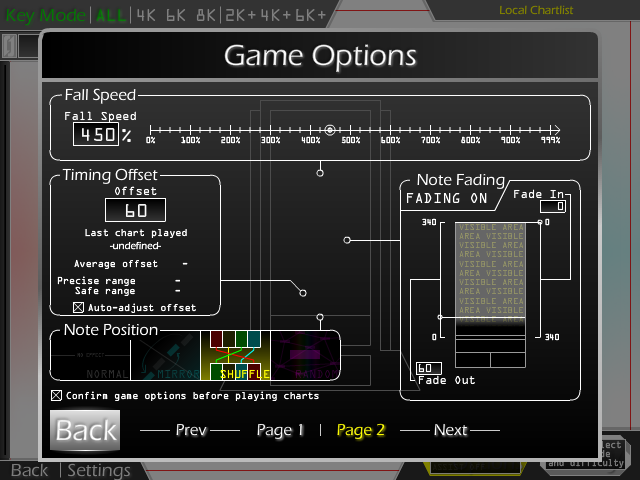 Plus, there are also other minor graphical and technical changes as well. Search by artist, title, or charter name. Also, the next update of Notedrop is not called the “Caramel Joy” update, and the fact that Alex Wang would decide to give it a big overarching name that’s not “Delta” does not mean that it’s going to be a big update either. Detailed release notes are below. 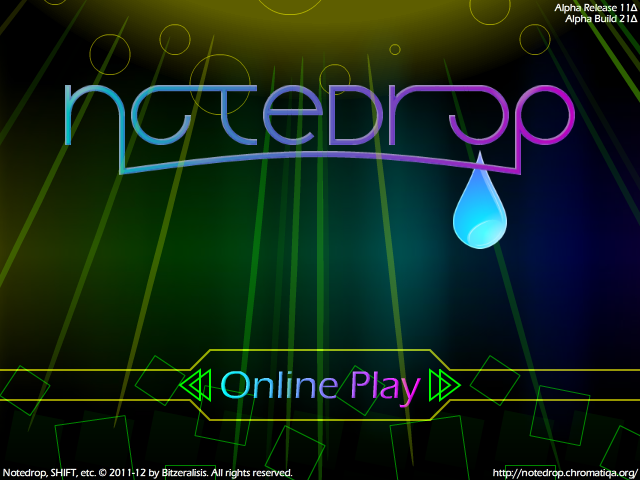 Hey guys, it’s time for another Notedrop release! 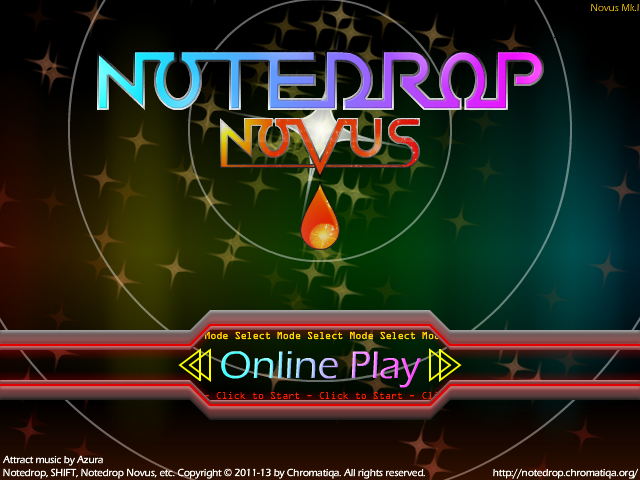 This release mainly adds two “Assist” effectors, Autoplay and No Fail, by popular demand. 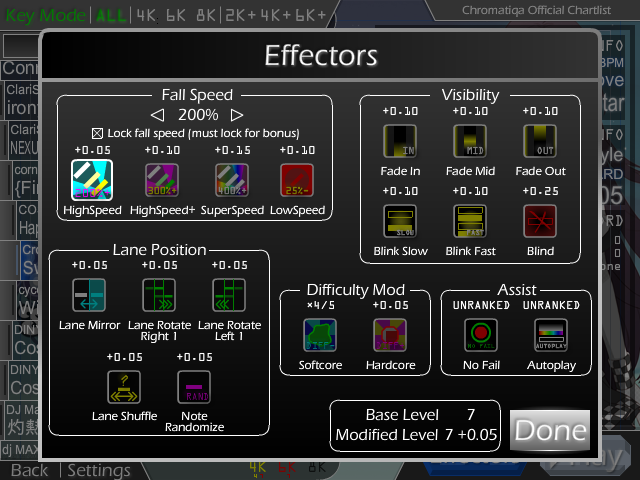 Otherwise, there are just a few minor bug fixes, and yet another main menu effect update, this time for Spring. 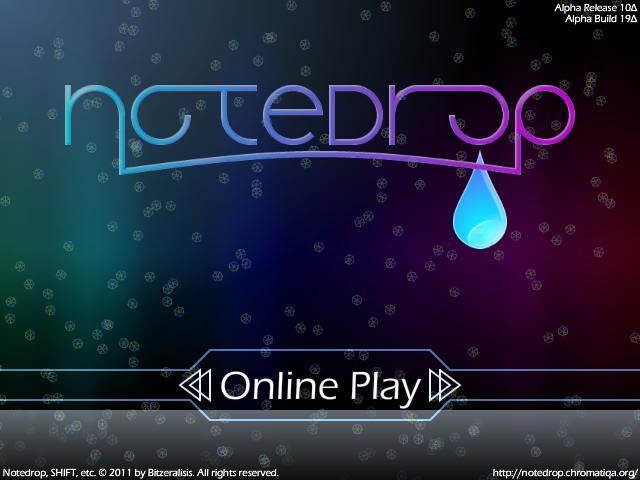 As you may have noticed, a new release of Notedrop has been released! The changes in this release are aimed to increase accessibility while also making the game a bit more fair. 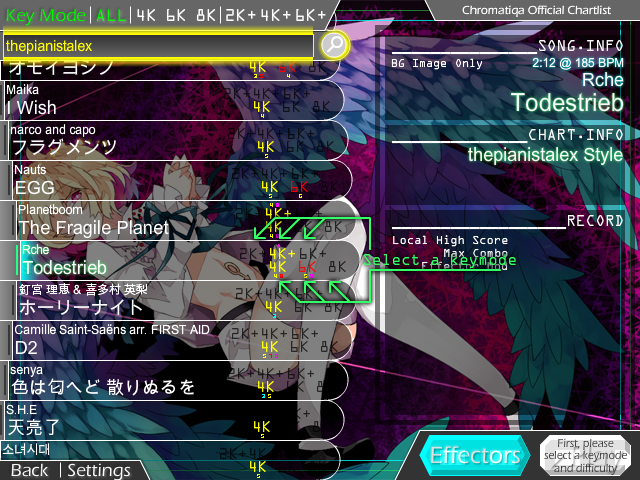 I increased the size of normal notes and made the backdrop behind them darker to make notes easier to see, and I also decreased the base fall speed a bit. Finally, be prepared for a little surprise when you enter the game! Detailed release notes can be read below. Various footnotes are present at the end of the release notes. A new release of Notedrop is out! This release contains many bugfixes and small tweaks that should generally improve gameplay. 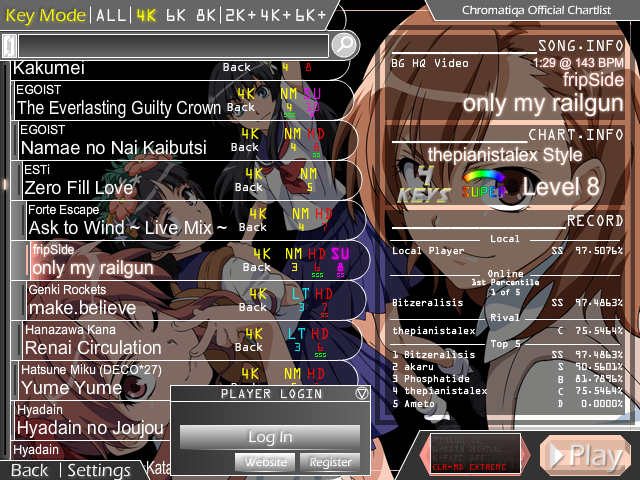 The most notable additions include an Audio Synchronization Tool that actually works, and keyboard shortcuts [PgUp] and [PgDn] that make scrolling through the increasingly large chartlist easier. IMPORTANT: Some people may have to clear their browser cache for the new version of Notedrop or the chartlist to be valid! If you are getting a “This version of Notedrop is outdated” error, look here. This link provides instructions for clearing the cache of most popular browsers. If you notice that your browser is loading an old version of Notedrop, or that the chartlist isn’t updating, be sure to do this. The standalone version may not update the chartlist or detect new versions in Windows 7 and Vista; clear Internet Explorer’s cache to fix this. Detailed release notes can be read below.